Scott McClurg is President and Co-Owner of McClurg Remodeling and Construction Services. Scott started the company in 1978 and developed it into one of Central New York's most respected remodelers earning national recognition along the way. Scott has long recognized that the most important resource on every job is the people who are trusted to enter and work in the homes and businesses of its customers. Scott is proud of the McClurg Team. They are specialists with years of experience, skilled in all areas of design and construction, who understand that providing complete customer satisfaction is always job #1. They also embrace one of the company's most important core values - giving back to the community. 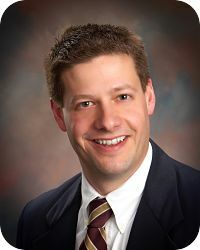 Scott is a Past President of the Home Builders and Remodelers Association of Central New York, and holds Certified Aging-In-Place Specialist, Certified Graduate Builder and Certified Green Professional designations from the National Association of Home Builders. Scott was a Syracuse Fire Fighter for 20 years and retired with the rank of Lieutenant. In 2009, he received the Syracuse Fire Department's Hamilton White Brotherhood Award. 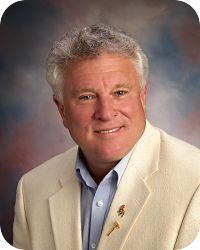 In 2008, Scott received the New York State Senate Liberty Award and the Marcellus Rotary Good Works Award. He is also a member of the Syracuse Fire Fighters Memorial Park Commission. Scott lives in Marcellus where he is Past President of the Marcellus Chamber of Commerce and President of the Marcellus Village Architectural Review Committee. Scott and his wife, Suzanne, have three daughters, three grandsons and two granddaughters. Scott enjoys hunting, fishing, scuba diving, exercising and spending time with his family. Read Scott's blog articles and email him at smcclurg@mcclurgteam.com. Brian Ciota is Vice President and co-owner of McClurg Remodeling and Construction Services. He joined the company in 1988 and has held a variety of positions including lead carpenter, project manager and production manager. To ensure McClurg continues its long-standing reputation for superior quality craftsmanship and unparalleled customer service, Brian has made it his mission to continually keep the company and its employees on the leading edge of products, design, energy efficiency and construction technology, while maintaining competitiveness within the remodeling and construction services industry. Brian also shares his knowledge and ideas on McClurg's Home Remodeling and Repair Blog. A graduate of SUNY at Geneseo with a B.S. degree in Business Management, Brian holds a Certified Graduate Remodeler designation from the National Association of Home Builders and has been a member in NAHB’s Remodeler 20 group for 10 years. Brian is an active member of the Marcellus community. He has volunteered with the Marcellus Library, Marcellus Park, Baltimore Woods, Marcellus Schools and other community organizations. He is also active with his sons various sporting teams, fundraising and coaching. Brian and his wife, Kathleen, and their three sons live in Marcellus. They stay busy with their children’s activities and enjoy spending time at the lake in the summer and skiing in the winter. Read Brian's blog articles and email him at bciota@mcclurgteam.com.